Whether you’re brand new to the plant-powered lifestyle of if you’ve been reaping its benefits for longer than you can remember, you’ll appreciate this list of the top 21 vegan food blogs. 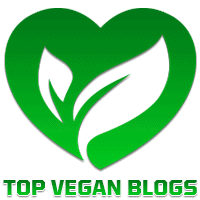 Unique recipes, helpful tips, and creativity make these blogs favorites with their readers, and they are sure to help you take veganism to new, completely amazing heights. So popular that it’s got over one million followers on social media, Oh She Glows is home to some truly miraculous recipes that will have you changing up your routine in no time. Family-friendly options, creative substitutes, and inspiring photos are a few of the highlights found throughout this award-winning vegan blog. A dash of humor, a smattering of bad language, and some serious eats make Thug Kitchen one of the best vegan blogs in the business. You’ll appreciate the many spicy treats found here, along with budget-friendly recipes and plenty of tips for newer vegans who still haven’t tried things like nutritional yeast or miso paste. Vegans and vegetarians rejoice! Oh My Veggies is a go-to site for anyone who wants to include more plant-based recipes in their diet, and it includes a cool “best of the web” feature that helps keep your surfing to a minimum. Tutorials, nutrition tips, product reviews, and menu plans are a few of the features you’ll find on this big, happy blog. Let’s face it: vegan baking can seem like a real challenge. How do you replace things like eggs, cream, and milk? Thanks to the Minimalist Baker, kitchen disasters can be kept to a minimum, and you can enjoy healthier, plant-based versions of your favorite goodies. Whether you’re craving brownies, chocolate chip cookies, or pumpkin bread, this blog has you covered. By the way, you’ll find other things here too: soups, salads, and main courses, all simple, delicious, and requiring 10 ingredients or less. If you’re cooking for omnivores, you’ll definitely want to check out Keepin’ it Kind! This vegan blog will make the most diehard meat-eater roll over and beg for more veggies, thanks to many, many creative recipes. There are loads of resources here for new vegans, as well as for those who are making the admittedly tough transition from omni or vegetarian to total vegan. Thoughtful, insightful, and beautifully designed, this blog might just become one of your favorite resources for taking your vegan lifestyle to the next level. If you’ve been eating a plant-based diet for a while, you know that vegan junk food is everywhere! Fat Free Vegan Kitchen will help you overcome your cravings with healthy versions of your old favorites. Fantastic photos and mouthwatering descriptions are sure to make you a believer and help you change up your routine. Healthy Happy Life is kind of a twofer! Not only is it an exciting blog brimming over with recipes and videos, it’s the gateway to another site called Finding Vegan, which is a hotspot for vegan recipe sharing. Whether you’re in the mood for creamy cashew cheese or a sweet chocolate cupcake complete with rainbow sprinkles, you’re going to love this pair of sister sites. Seasonal recipes, global inspiration, and a huge recipe index make The Fig Tree a favorite. If you’re looking for good, wholesome food to satisfy dinner guests and picky family members alike, then you’ll find plenty to love about this well-organized vegan recipe blog. Beautiful photos, mouthwatering recipes, and an app for your phone are just a few of the things you’ll find at Deliciously Ella. Famous for delectable energy balls, beautiful cakes, and astonishing flavor combinations, this vegan food blog inspires readers to take charge of their own health while enjoying each and every bite. Vegan recipes are just the tip of the iceberg! If you’re longing for inspiration, you’ll find it here. Unique foods, cool crafts, and thought-provoking posts make Bittersweet an outstanding resource. Whether you’re looking for globally inspired vegan cuisine (Indian, Asian, and Mexican are a few options!) 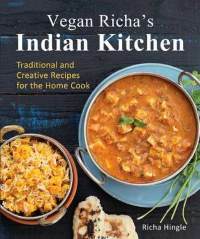 or a great guide to making vegan cheeses, you’ll find it at Vegan Richa. From rich-tasting desserts to veggie burgers galore, this amazing food blog includes lots of gluten-free, soy-free, and nut-free options. Want to make your own vegan yogurt? Long for veggie “meatballs?” Wishing for dairy-free cheesecake that will make even an omnivore’s mouth water? These are just a few of the wonderful treats you’ll find at Dreena Burton’s Plant Powered Kitchen. There are plenty of other resources here too, making this a fantastic spot for inspiration. Whether you’re longing for berries and whipped cream, fantastic salsa and guacamole to top some nachos, or just something different to make for dinner, then you’re going to love Vegan Yack Attack. You’ll learn how to use aquafaba to make a dessert topping and much, much more. Delicious vegan recipes are just the beginning. Nava Atlas has been writing for vegetarians and vegans since the 1980s, and Veg Kitchen is jam-packed with plant-based cooking advice. You’ll find videos, nutrition information, a downloadable app, and much more when you visit. With beautiful photos, craveable recipes for things like vegan bacon, wontons, and air-fried tofu, Olives for Dinner is sure to inspire you to take your cooking to the next level. You’ll also find heartfelt interviews with famous vegan food bloggers and chefs here, in the “Why I Cook” series. Learn to make vegan sour cream, fantastic potato pancakes, rainbow spring rolls, and lots of other plant-based wonders that will impress your friends and family members – even the omnivores! The Plant Philosophy, formerly known as the Plant h2 Vegan, is full of great recipes made with simple, affordable ingredients, and it includes a fantastic guide to going vegan for people who are new to plant-based eating. If you’re like most people, you want to eat healthy but your busy lifestyle often interferes with your plans. Vegan in the Freezer offers a fantastic solution by focusing on creating healthy vegan recipes that are easy make in batches that can be enjoyed right away or frozen for busy-day meals. Whether you’re looking for savory dinner ideas or sweet vegan desserts, you’ll find plenty of exciting options at My Whole Food Life. 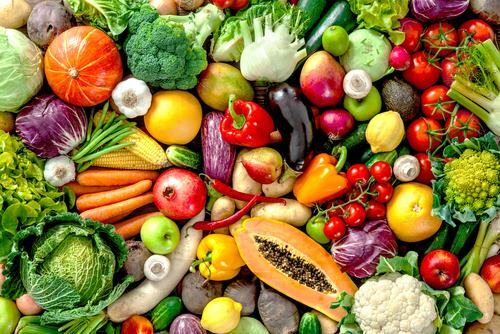 You’ll find lots of delicious recipes designed to make the most of whole, plant-based foods and reduce your dependence on processed products when you visit. Looking for vegan translations of your favorite foods? There’s a good chance that you’ll find lots to love about Post Punk Kitchen, where delicacies like lasagna rolls, waffles with pomegranate syrup, and buffalo chickpea pitas with ranch are just a few of the treats that will catch your eye. Holiday menu suggestions, a recipe finder based on the ingredients you have on hand, and a complete guide to vegan baking are some of this vegan food blog’s best features. Chock full of vegan restaurant reviews, mouthwatering recipes (try the vegan Gochujang Glazed Tempeh! ), and fantastic food reviews and giveaways on popular products like Kite Hill vegan cheese, Vegan Miam offers a fascinating focus on global flavors. Travel along as they try new plant-based delights and enjoy gorgeous photos that are a feast for the eyes. There’s a h2 emphasis on Asian-inspired cookery, however you’ll find exciting recipes from all over the world featured here. Vegan Miam has won multiple awards, including a spot on the Academy of Culinary Nutrition’s top 50 Vegan Blogs list. Homemade graham crackers, scrumptious Israeli-style hummus, and enticing pesto pasta are just a few of the culinary marvels that await at Fried Dandelions. Other samplings include a fabulous vegan tamale recipe, tasty olive tapenade, and delightful Champagne sangria, complete with pineapple and berries. Whether you’re looking for everyday eats or something special for your vegan holiday table, you’ll find plenty of inspiration here. Be on the lookout for giveaways, too! Want a great recipe for vegan cheesecake bites? You’ll find it here, along with tons of other swoon-worthy dessert recipes fit for a vegan king (or queen!) Two Green Peas features plenty of recipes for savory favorites as well; mushroom risotto with barley, lemon spinach & asparagus spaghetti, and an absolutely divine vegan mac and cheese recipe are some other offerings. This award-winning vegan food blog has every meal and occasion covered, plus there are multiple ways to browse for recipes to satisfy your cravings. As you might guess, The Viet Vegan offers a h2 emphasis on Vietnamese food, all beautifully photographed. That’s not all, though; among recipes for such delights as Bahn Mi, Dau Hu Sot Ca, and steamed buns (Banh Bao Chay), you’ll find lots of other delicious vegan recipes and tutorials. Want to learn how to make vegan aquafaba mayo? 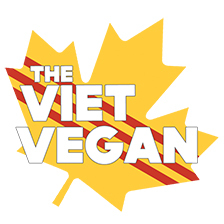 Viet Vegan has you covered. With an entire section devoted to gluten-free vegan recipes and much, much more, this is one blog you’ll find yourself visiting again and again. Authored by Ashley Melillo, who has written a cookbook by the same name, Blissful Basil is a thoughtfully written, beautifully photographed blog. Brimming with vegan goodness sweet and savory alike, it offers a h2 focus on healthy alternatives to old favorites. 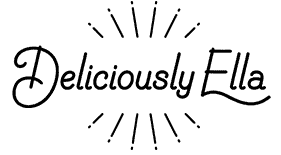 Almond butter shortbread cookies, pumpkin cheesecake (vegan, of course), falafel bowls, and BBQ mushroom tacos are just a few of the scrumptious delights to be found here. Recipes are indexed by type, making it very easy to locate whatever you’re craving. Homemade vegan ice cream? Yes, please! Happy Hearted Kitchen offers a delightful medley of sweet and savory favorites, all tidily categorized for easy searching. From healthy “hippie fudge” to tasty chickpea masala and sweet potato dal, it offers plenty of inspiration for tasty vegan meals, desserts, snacks, and drinks. Don’t miss out on the Resources section, where you’ll find suggestions for reading, flea markets and useful kitchen tools, and much more. Take a trip to the Magic Green Kitchen and prepare to be amazed. Learn how to make cashew cheese to top pizza, salads, and more, and enjoy a wide variety of recipes for everything from hearty entrees to decadent desserts. Check out the latest in plant-based news while you’re here, and enjoy inspiration for your next vacation. Love southern food, but prefer a plant-based way of eating? Vegan Crunk is sure to become a favorite, if so. Written by Bianca Phillips, who is the author of Cookin Crunk: Eatin’ Vegan in the Dirty South, this award-winning blog offers fantastic recipes, vegan cookbook reviews, and smatterings of personal insight. You’ll find plenty of recipes when you visit Dianne’s Vegan Kitchen – pumpkin pie smoothies, raw vegan key lime pie, and buffalo chickpea tacos are just a few examples. You’ll also enjoy tons of sensible health and nutrition advice for plant-based living. Advice for new vegans is included, and there’s coaching if you need it. Looking for something yummy to make? The Little Blog of Vegan has you covered, with recipes for scrumptious soft pretzels, rich chocolaty brownie cookies, gingerbread scones, vegan truffles, and so much more. There are plenty of healthy vegan recipes here, too; whether you’re looking for breakfast, lunch, dinner, or a fantastic snack to share, you’ll find lots of options. Don’t miss out on the lifestyle and beauty sections, and be sure to check out the reviews, which cover a variety of vegan products, restaurants, and more. Vegan wine recommendations are just the beginning. The Veracious Vegan also offers restaurant reviews, chocolate recommendations, and detailed information meant to inspire your next vacation. Proud winner of numerous awards, this colorful blog also features some excellent recipes. Try the Chana Masala next time you’re craving Indian food! Offering hotel, resort, and restaurant reviews from a vegan perspective, World Within Her is the ultimate resource for vegans in search of luxury lifestyle and travel advice. Whether you’re looking for the latest in eco-friendly active wear, a fantastic, secret yoga retreat, or the perfect recipe for Pad Thai, this is a fantastic place to find it. Breathtaking photography is the icing on the (vegan) cake. Cheap Vegan Chick proves that it’s easy – and cost-effective – to live a plant-based lifestyle. Offering a little something for everyone with coupons, frugal living tips, and much more, this award-winning blog has been around since 2011 and is packed with recipes and tips for affordable vegan living. Be sure to check out the list of helpful resources while you’re there – especially if you’re new to plant-based living. New to being vegan? There’s plenty of help available, and Main Street Vegan is a top resource that’s sure to become a reliable companion. With podcasts, book reviews and film recommendations, and online learning, Main Street Vegan also provides an ongoing list of events. This award-winning vegan blog doesn’t feature as many recipes as some other sites do, but there are definitely a few veganized favorites worth checking out. An absolutely delightful blog that focuses on vegan fusion – Mauritian cuisine, Vegan Lovelie also includes a holiday gift guide and a review section with recommendations for making your home cooking experience better than ever. Whether you want to create a colorful dessert platter or if you’re looking for insight into the latest, greatest vegan ice cream, you’ll find it here. Don’t miss Lovelie TV – this section offers lots of exciting video content designed to help you take your vegan lifestyle to the next level. At Vegan Outreach, informing others, volunteering, and promoting veganism is the focus. If you’re interested in formal participation or simply wish to share your passion for cruelty-free living with others in your circle of friends, you’ll find an abundance of resources here. Be part of the vegan mentor program, engage with others in your community, or simply sign up to receive some free vegan goodies. Whether you’re looking for information or want to be part of the growing movement that is veganism, this is a great place to get started. Looking for a fantastic vegan breakfast sausage recipe? Perhaps you’re hunting for the perfect vegan mac and cheese. Whatever you’re craving, Andrea’s Easy Vegan Cooking is likely to be a source for inspiration. Global cuisine reigns supreme here, with recipes for everything from chili to Pad Thai. Plus, you’ll find lots of reviews and Andrea’s thoughtful “Rant” section. Check it out! If you or someone you love suffers from a food intolerance, then you’ll find Histamine to Go is a good resource. Written from a vegan perspective, it offers a h2 focus on both physical and mental health topics, plus some excellent advice on avoiding the histamines that are found all around us. There are a few recipes to enjoy, too. vegan recipes are so healthy and delicious too. I am looking for some advertising opportunities and really impressed with the quality of your blog easyrecipedepot.com and the way you have updated it.